The times given are the sign-in times. Clients are asked not to arrive more than 10 minutes before the sign-in time, as assistance is NOT based on first-come, first-served. Everyone who is present at the sign-in time has an equal chance of being served. Order is determined randomly. Prepare + Prosper is for anyone with an annual income of $35,000 or less for individuals, $55,000 or less for families or those who are self-employed. Assists people who are 55+ and/or who are disabled, by appointment only. Income guidelines are $35,000 or less for individuals, $55,000 or less for families or those who are self-employed. Please call (612) 781-6011 to make an appointment. 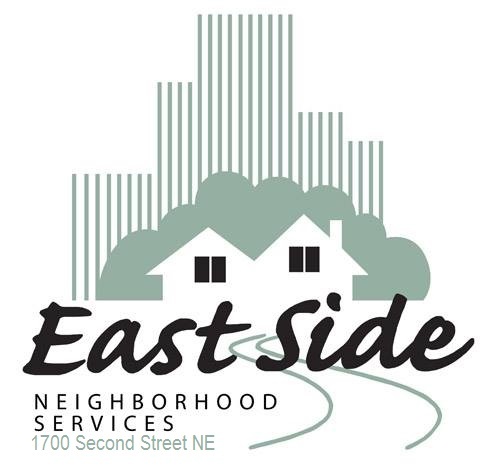 East Side Neighborhood Services’ 1-day certification class will prepare you for a career in food service preparation and safety. Call the Training Coordinator at (612) 787-4022 for more information. This course will provide you with industry recognized certification to operate sit-down and stand-up forklifts and Bobcat Skid Steer Loaders. Classroom training held on site at ESNS. Transportation to the off-site facility for hands on training is provided. To apply come to an information session held every Tuesday at 9:30 am or Wednesday at 3pm. Call (612) 787-4022 for more information. In A Matter of Balance, you will learn how to view falls as controllable, make changes to reduce fall risks at home, perform exercises that improve strength and balance, and set goals to increase physical activity. Classes are held at East Side. The cost of these classes is based on ability to pay. No one will be turned away due to financial constraints. To register, call 612-787-4102 or email Empowering Vital Aging at eva@esns.org. Gain skills to live a healthier life! Living Well with Chronic Conditions workshop covers many topics including healthy eating, exercise, medication usage, as well as managing fatigue, pain, and emotions. All participants receive a reference book. This class will be held at the Skyway Senior Center located at 950 Nicollet Mall #290, Mpls 55403. The cost of these classes is based on ability to pay. No one will be turned away due to financial constraints. To register, call 612-787-4102 or email Empowering Vital Aging at eva@esns.org. This FREE program is designed for adults with experience working in the customer service, sales, food service, and hospitality fields that have the potential to move into supervisory and leadership positions. To apply attend a weekly information session Tuesday at 9:30 AM and Wednesday at 3:00 PM. Call (612) 787-4022 for more information. ESNS’ Senior Community Service Employment Program is in search of low income seniors (55yrs+, Hennepin County residents) who are interested in paid on-the-job training in a variety of community based settings. We are seeking those with interest or experience in these types of work: janitors, office help, and kitchen workers, to name a few. Information about the program can be found at www.esns.org/SCSEP or call Macey with questions (612) 787-4090. Admission with ticket only – Cost $4.00. Community members 55+ welcome. Tickets are available at East Side and the Senior Food Shelf. This Tai Chi class reduces risk of falls by improving balance, muscle strength, flexibility, and mobility through mindful movements in a slow, flowing motion. All classes are held at East Side. The cost of these classes is based on ability to pay. No one will be turned away due to financial constraints. To register, email eva@esns.org or call (612) 787-4102. Gain skills to live a healthier life! Living Well with Chronic Conditions workshop covers many topics including healthy eating, exercise, medication usage, as well as managing fatigue, pain, and emotions. All participants receive a reference book. The cost of these classes is based on ability to pay. No one will be turned away due to financial constraints. To register, call 612-787-4102 or email Empowering Vital Aging at eva@esns.org. In A Matter of Balance, you will learn how to view falls as controllable, make changes to reduce fall risks at home, perform exercises that improve strength and balance, and set goals to increase physical activity. This eight week workshop includes group discussion and exercise. Classes are held at East Side. The cost of these classes is based on ability to pay. No one will be turned away due to financial constraints. To register, call 612-787-4102 or email Empowering Vital Aging at eva@esns.org. This entry was posted in General News, Local Services, Seniors and tagged balance, exercise, job training, seniors, taxes, Valentine's Day. Bookmark the permalink.